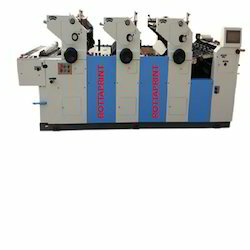 Leading Manufacturer of non woven satellite printing machine, non woven bag to bag printing machine, d- cut non woven satellite bag printing machine, four color non woven bag printing machine, non woven printing machine and multi color non woven bag printing machine from Faridabad. 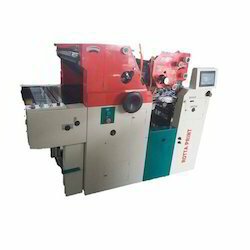 We are one of the leading manufacturer, supplier & exporter of Four Color Non Woven Bag Printing Machine. 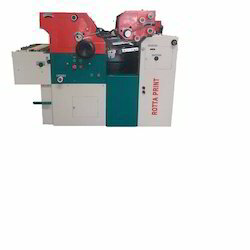 Our professionals design this unit within inbuilt reel-stand, which helps in reducing web travel as well as providing excellent print quality. 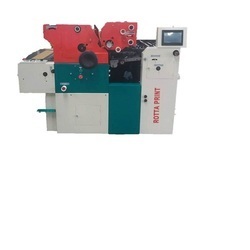 Based on latest technology, these offset machines are known for reliability, high efficiency, low maintenance and economical prices. 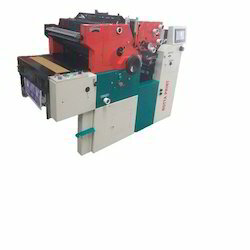 Paper feeding table track guided with 4 bearings.